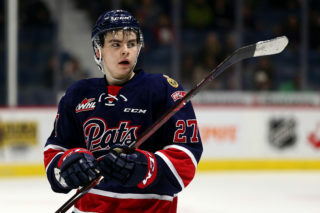 The Regina Pats evened the Eastern Conference Championship Series at a game a piece with a 3-2 overtime win over the Lethbridge Hurricanes on Saturday night. Regina opened the scoring, 9:44 into the first when Jeff de Wit tipped home his second of the playoffs. It stayed that way until seven minutes into the third when Austin Wagner scored on a shorthanded breakaway, his 12th of the post-season, to make it a 2-0 game. Two minutes after that, the Hurricanes struck twice, just 23 seconds apart to tie the game 2-2 and eventually force overtime. 17:05 into the extra frame, Adam Brooks buried his fourth from the left circle to give the Pats the 3-2 win and a 1-1 series tie. Regina outshot Lethbridge 51-31 in the win, Tyler Brown made 29 saves for the Pats, Stuart Skinner 48 for the Hurricanes. Both teams were oh for four on the powerplay and the Pats scored once shorthanded. 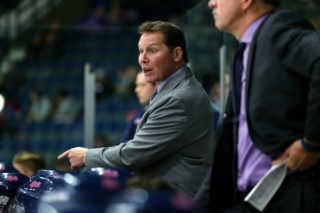 The Pats will visit Lethbridge for game three of the Eastern Conference Championship series on Tuesday night at the Enmax Centre at 7 p.m. Game five will be back at the Brandt Centre on Friday April 28, tickets will go on sale Monday at noon at ticketmaster.ca, the Brandt Centre Box Office and Safeway. Regina – Jeff de Wit (2) from Liam Schioler and Kjell Kjemhus – 9:44. Regina – Austin Wagner (12) from Wyatt Sloboshan and Sergey Zborovskiy – 7:21 SH. Lethbridge – Zane Franklin (2) from Jadon Joseph and Igor Merezhko – 9:31. Lethbridge – Jordy Bellerive (6) from Alec Baer – 9:54. Regina – Adam Brooks (4) from Sergey Zborovskiy – 17:05. – Austin Wagner extended his goal scoring streak to four games, has six goals in that stretch. 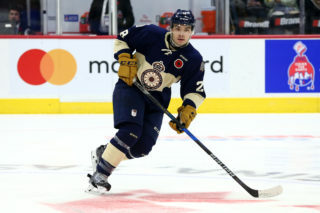 – Adam Brooks scored the game winner in his second game back from injury. 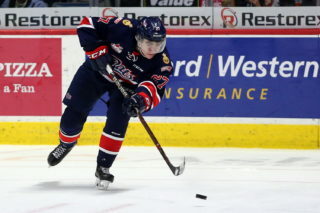 – Kjell Kjemhus recorded his first career WHL point with an assist in the first period. 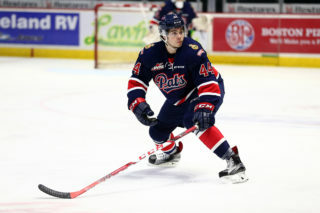 The Pats will visit Lethbridge for game three of the Eastern Conference Championship series on Tuesday night at the Enmax Centre at 7 p.m. Game five will be back at the Brandt Centre on Friday April 28, tickets will go on sale Monday at noon at ticketmaster.ca, the Brandt Centre Box Office and Safeway.